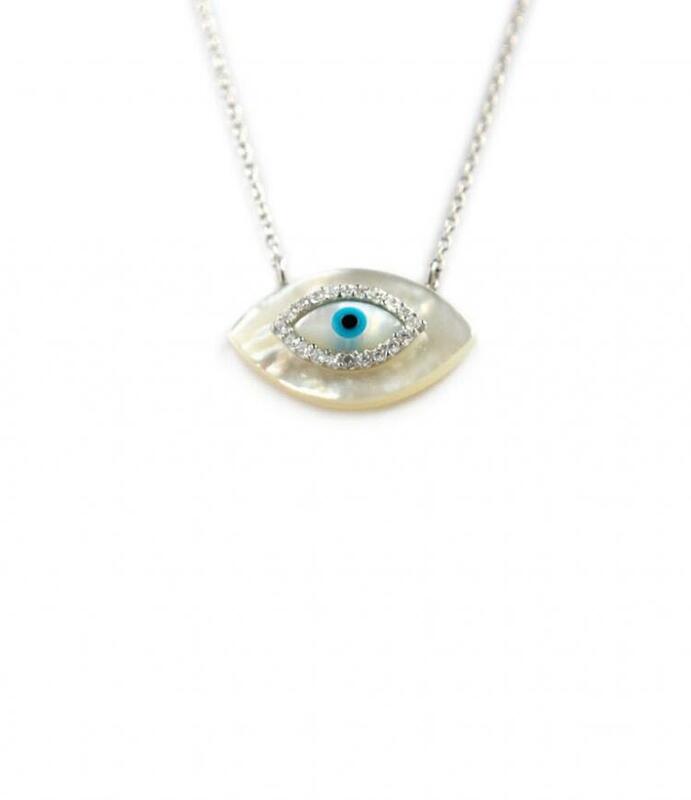 Hot trends states that celebs like Kim Kardashian, Rhianna, Rita Ora, Miley Cyrus and tons more have been spotted wearing evil eye necklaces, bracelets and earrings. And ours is at a great price point for you. Ours comes in sterling silver and czs, you choose 16 or 18 inch chain and you can upgrade to gold plated or rose gold plated. The meaning? The evil eye bead gives happiness to friends and loved ones. Protection from evil eye, covetous friends and strangers. Price: $36.00 In stock! - Browse this brandOur products are custom made to your specifications. This product ships up to 3 weeks after your order is placed.